The author, just after his UAV decided to take off sideways rather than vertically and weed whack its way through a cornfield. All I need is a safety orange vest and some light up cones to guide this thing in for a landing. Somewhere around the third shattered arm on the drone things began to get serious. Our newly acquired Unmanned Aerial Vehicle (UAV, the preferred terminology to “drone”, which tends to bring to mind images of Hellfire missile strikes) had just decided to call it quits in mid-flight, ignoring our pilot’s commands, and slamming into the wall of our bunkhouse and then the ground with a crunch that sounded like grant funds going up in smoke. In theory, the UAV should land itself gracefully with no human input but we had long since resorted to my colleague Jacob Davis piloting the quadcopter down to a height where I could run after it and grab the landing struts and manually shut it down. This time around though, the UAV was clearly having none of it. We were down to one replacement arm and the nearest source of more is an indeterminate number of countries, and possibly continents, away. Still, this is Malawi. No one ever replaces a missing or broken part with the appropriate spare. This is also a country renowned for its woodcarvers so the logical course of action was to bring one of the remaining unbroken arms to a local carpenter and ask for 4 of them. Sure enough, by the next day we had 4 brand new arms that were stronger, cheaper, and far more Malawian looking than the black plastic originals. So why are we bothering with this unwieldy, expensive, and breakdown prone thing in the first place? 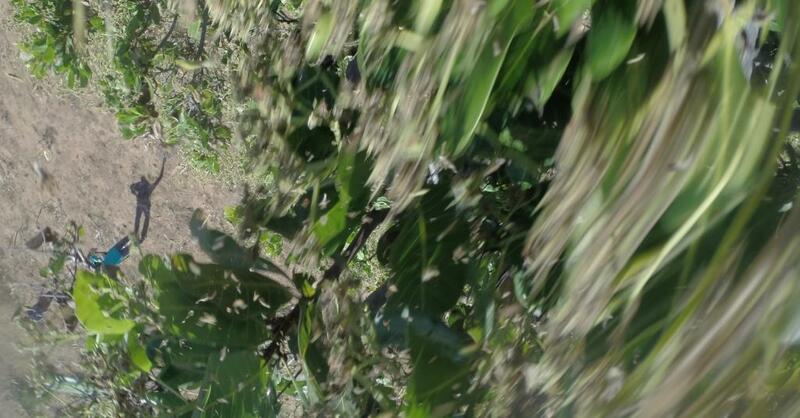 Surely, our Principal Investigator Dr. Jessica Thompson hadn’t bought the quadcopter solely for the purpose of keeping a few of the team busy buzzing maize fields and alternately delighting and terrifying local children. In the last few years UAVs have gone from military hardware, to a toy for the rich and bored, to an increasingly indispensable part of the field archaeologist’s kit. One of the most persistent problems in archaeology has been how to acquire overhead photos of an excavation. For a small pit a few meters in size you can just lean over the edge with a camera and do your best to not fall in. But for a major dig several to tens of meters long and wide something more elaborate is required; this can range from kite photography, to helium blimps on a tether, to building a scaffold over the entire site. What a landscape photography shot actually should look like…though perhaps with less distortion. tramped through the hills north of the Remero River looking for archaeological artifacts on the landscape. 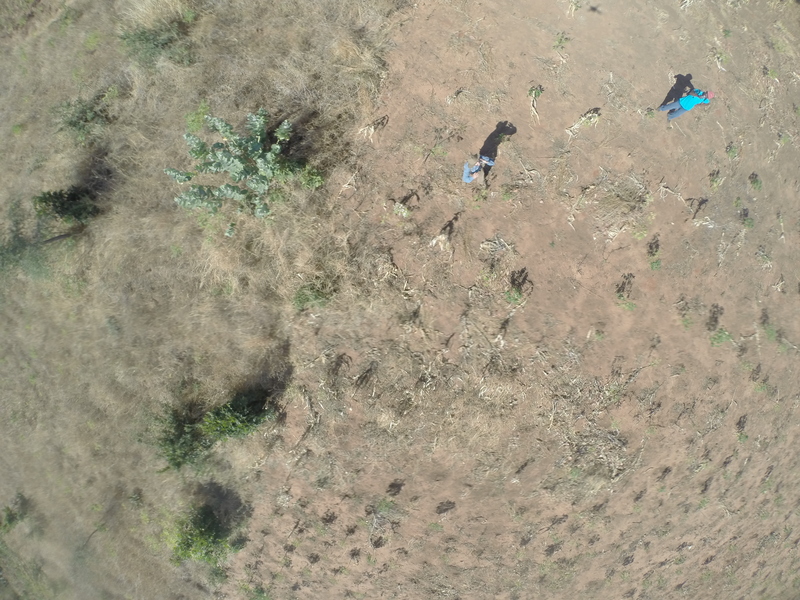 Although our survey initially led us through flat river flood plains, after a few kilometers we found ourselves hacking through Acacia thorns on 45 degree hill slopes covered in round stones that gave way at the slightest misstep. This is the exact sort of scenario when finding a clearing and launching our quadcopter could help us find a way out of the woods. 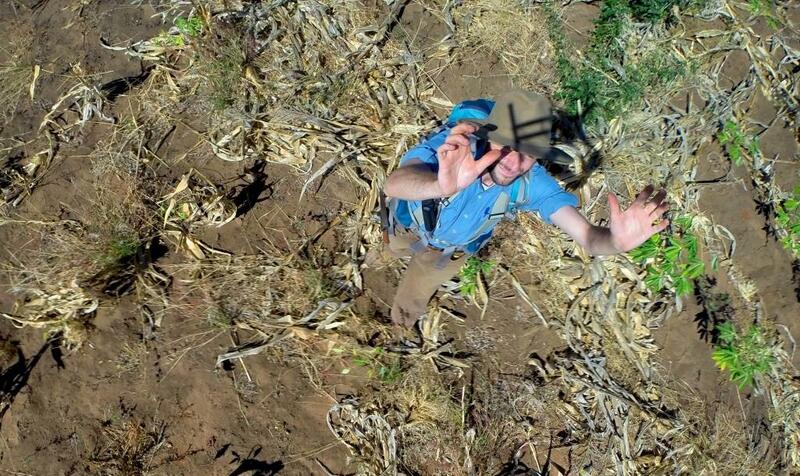 Alas, this is also the precise situation when our independent-minded UAV would probably decide to nose dive into an inaccessible ravine and leave us bushwhacking our way home and having to explain away a few thousand dollars of missing equipment. 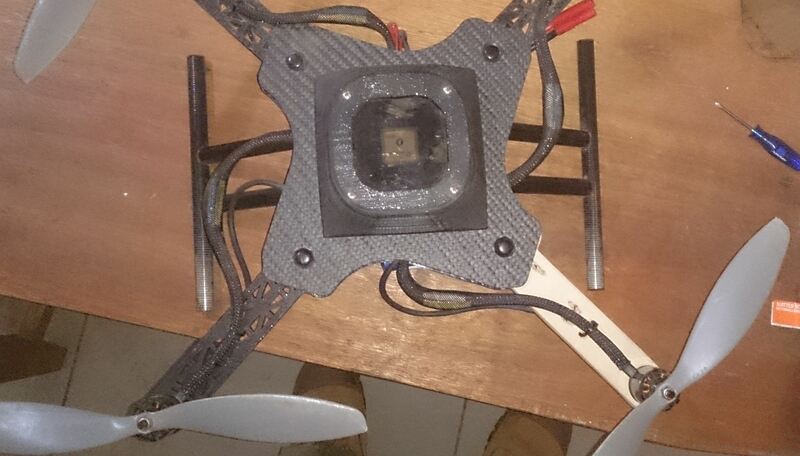 The result of an inconveniently located mango tree interacting with a malfunctioning UAV. So in summary, is it worth buying a drone of your own? In theory, absolutely yes. In reality, fly it and try it out in the exact sort of scenario for which you intend to use it in the field. And unless you happen to know a particularly talented carpenter or wood carver near your site, buy a lot of spare parts.